When you first setup Maven in your office/home computer you might come up with an exception as below when you try to run/build the Maven project. 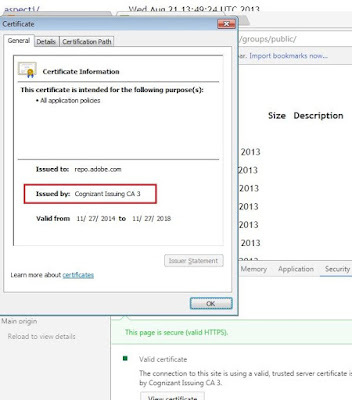 STEP 1: Navigate to the URL in the exception report using a browser. In this case I am using Google Chrome browser. See below snapshot. STEP 2: Now press F12 or right click on the page and click on “Inspect”. This will open the developer tools. STEP 3: Go to the “Security” tab. 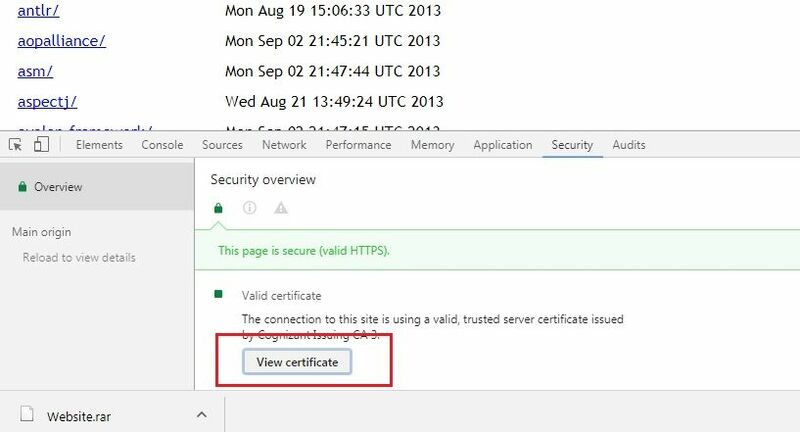 STEP 4: Click on the “View Certificate” button. 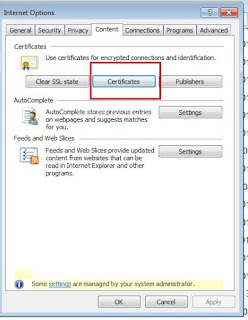 STEP 6: Now close this window and go to browser “Settings”. 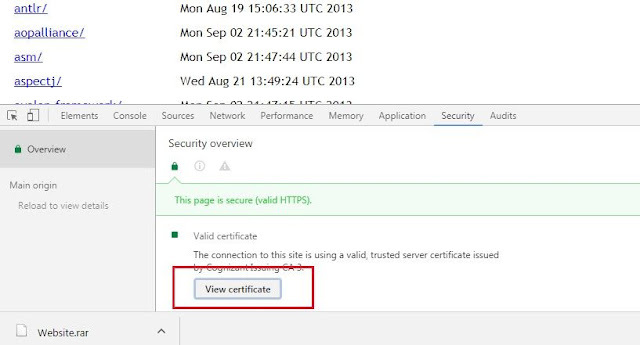 STEP 7: Now search for “Manage Certificates”. 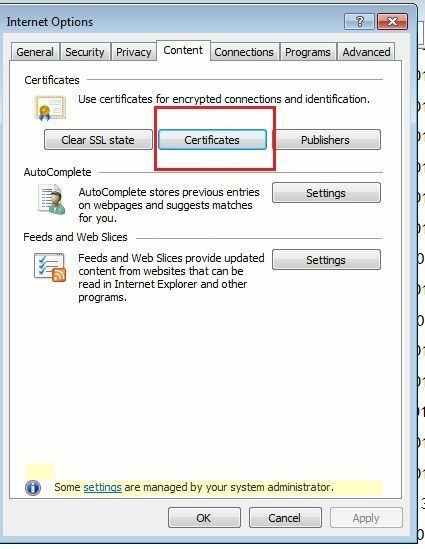 Alternatively, you can open the “Internet Options” in IE or similar browser and go to “Content” tab and click on “Certificates” button. 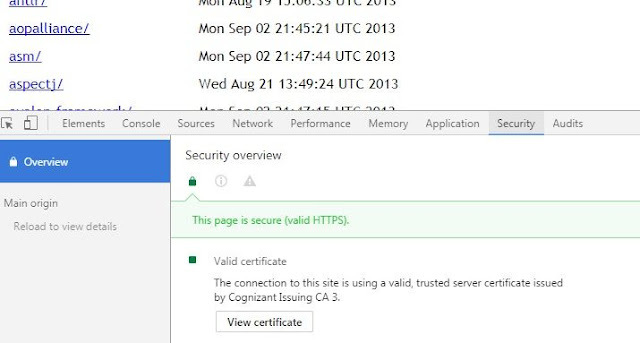 STEP 8: Now find the name of the certificate matching the one in STEP 5. STEP 9: Click on “Export” and export it in a new file (using the default selected format). 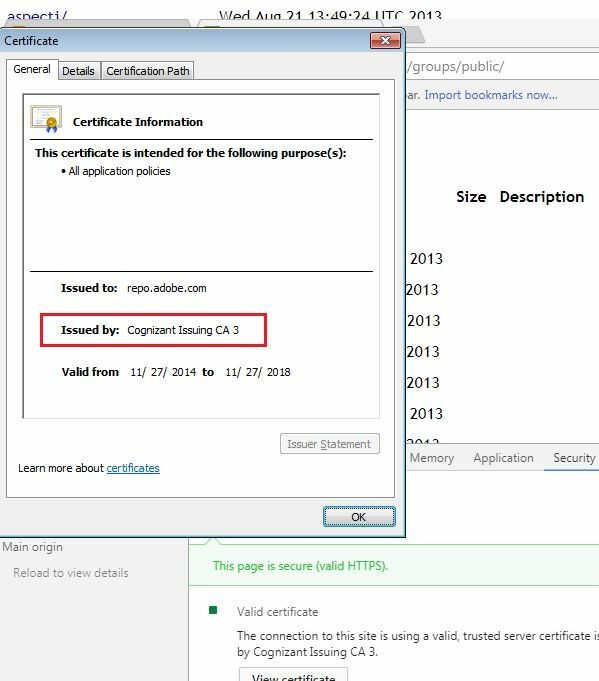 STEP 10: Now run the JAVA Keytool command to add this certificate to your computer’s JDK keystore. STEP 11: You should run this command. 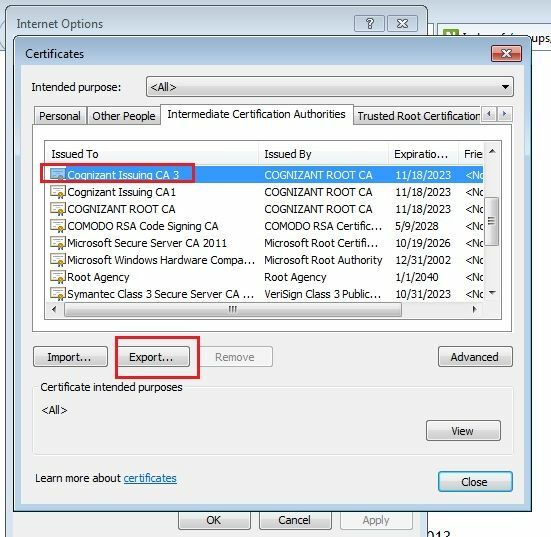 keytool -import -alias ctsrootca3 -file D:\certs\ctsrootca3.cer -keystore "C:\Program Files\Java\jdk1.8.0_152\jre\lib\security\cacerts"
Please make changes as below. 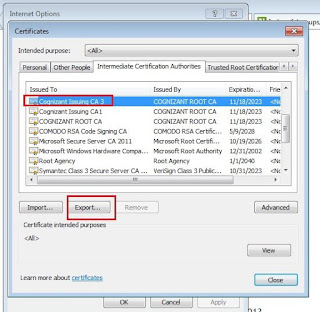 D:\certs\ctsrootca3.cer - This should be the path to your certificate file that you exported. 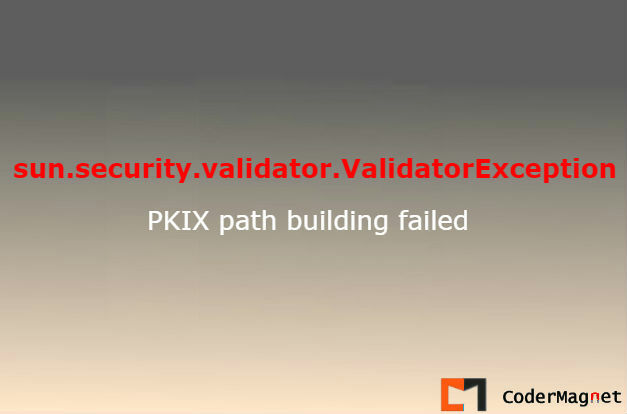 C:\Program Files\Java\jdk1.8.0_152 – This should be path to your JDK folder. STEP 12: After successful addition of the key you will see a message like this. STEP 13: If you have followed this steps correctly then now when you run Maven it should not give any errors. 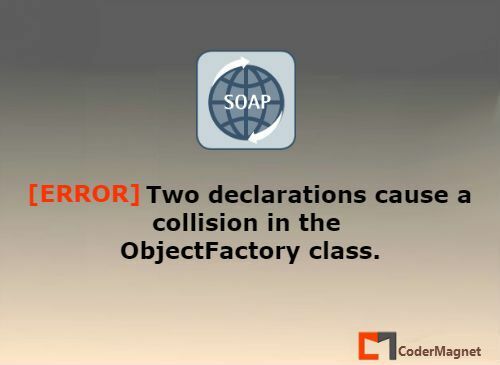 This is a very common issue we face, and the way to resolve this is to simply write a XML file having a JAXB binding configuration. XSD Schema file. Lets look into the XSD file. See below. So this is happening because the "name" attribute is somehow causing collision when the WSDL file is getting parsed. To solve this simple open a new file in Notepad(or any text editor you use) and name it something like "conflict.xml". Now run the "wsimport" command with the -b switch. This is called the binding (-b). This will generate the stub classes properly without any issues. When you have multiple collisions then in that case you have to write multiple jxb:bindings for each. Means you have to repeat line number 5 to 11 from STEP 3. 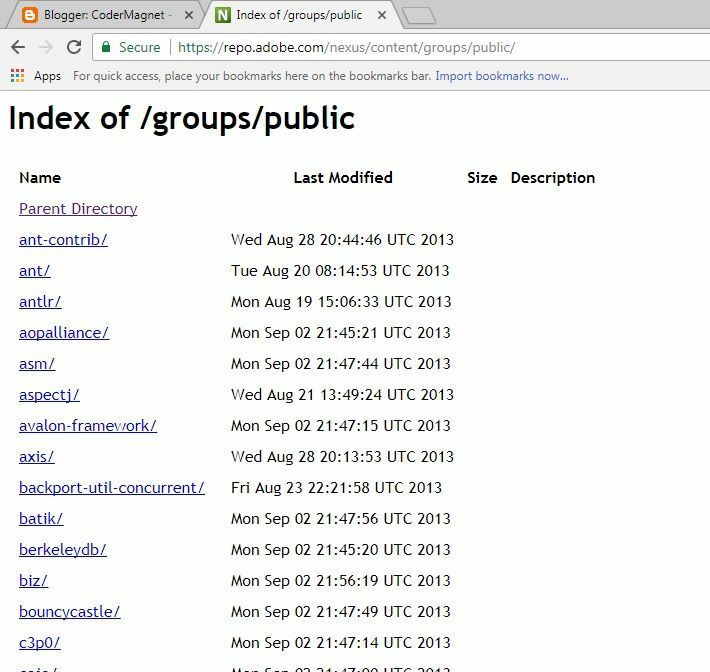 This document gives instructions on creating web service stubs better knowas proxy classes. We will take an example and proceed with the explanation. Copy the URL link in the browser address bar and hit enter.Check if the WSDL is accessible through your network or not. Download the WSDL file in a folder and should be saved with the ".wsdl" extension. Now start to download the artifacts in a folder in your local drive.This should include the WSDL file and all the associated XSDs. The XSD files can be downloaded from the links found inside the downloaded WSDL file. Go into the WSDL file.You will see a section having the schemas. 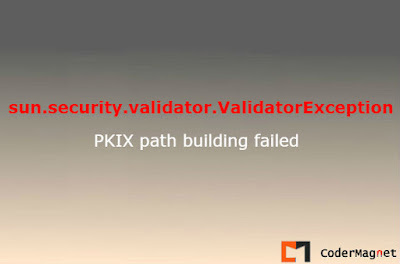 Rename the XSD Http links.Point it to the local path of the XML Schemas. 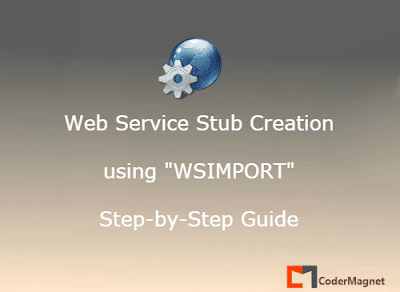 Open a command prompt and check the "wsimport" tool. We will use the wsimport and the associated commands to create the stubs.Please check the snap shot below f the command prompt. 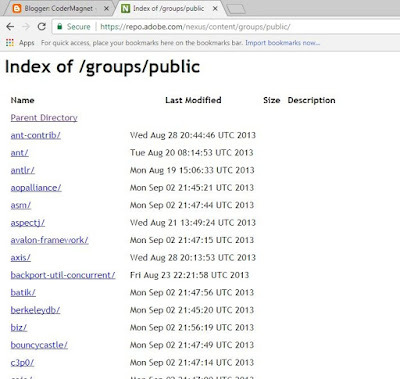 The command is like:wsimport -keep -extensionThere are many associated commands. We need to use them as and when required. After the previous command we can see folders created in the same destination of the artifact files. Copy this folders in the “src” folder of your JAVA project in your IDE.It should look like this ad you are good to go. a big number to a 2 decimal point number.Thought of sharing the same with some explaination. 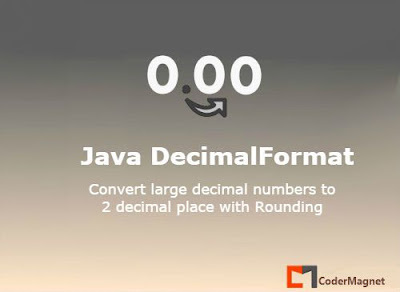 rounds off the number to nearest even i.e when it's 0.05 it becomes 0.1. 1. The number becomes 1308207 at line 3. 2. At line no. 5 it becomes 1.308207. 4. The right hand side(RHS) value is 07,so nearest round off is 10, only 1 taken & RHS discarded. 6. Rightmost 01,the nearest round off id 00, RHS discarded & number becomes 0. 7. Again number becomes smaller 1.30820, in same way becomes 1.3082. 9. Finally 1.31(08 becomes 10 with HALF_EVEN method and 0 discarded). All codes are cooked with in my kitchen with a lot of sweetness and clarity. The codes are simple and clear... also tasty too!! !